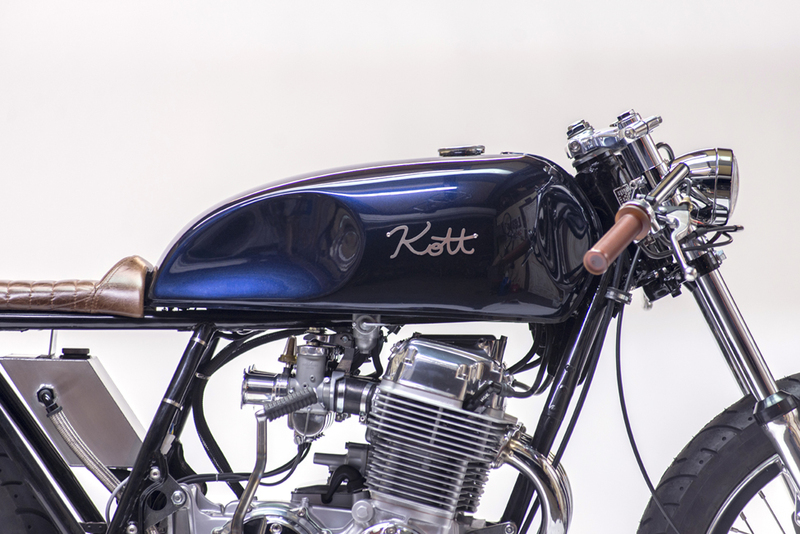 After a simple tweet from Lance Armstrong the shop was approached by several curious perspective future owners of our custom built Kott Motorcycles. MJR was just such a client. As a competitive cyclist in years past his curiosity peaked when Armstrong was photographed in the archetypal ergonomic seating position that cafe racers offer, so very similar to competition bicycles. He had to have one of his own! 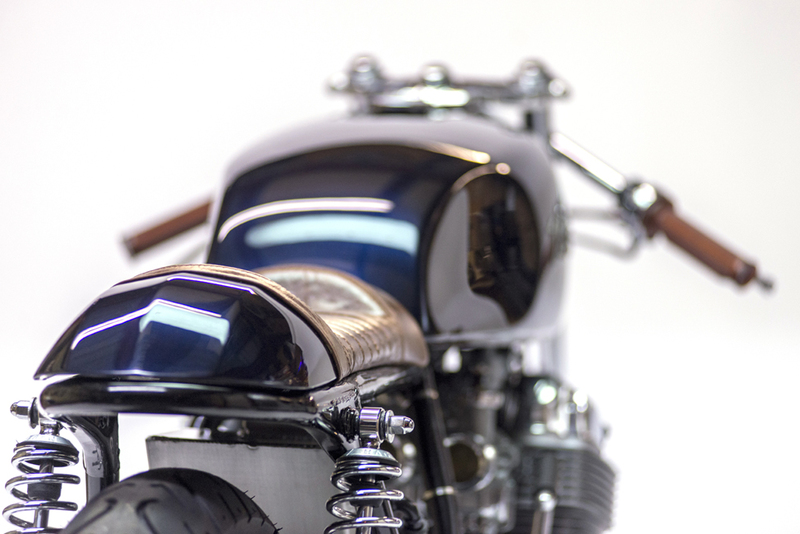 This bike was another of the CB family to be finished in our cult classic Ink Blue paint scheme. With a growing number of requests for our new exposed front spring design on our 750 models, this project took on a character all its own with the paired dual rotor accompaniment up front. 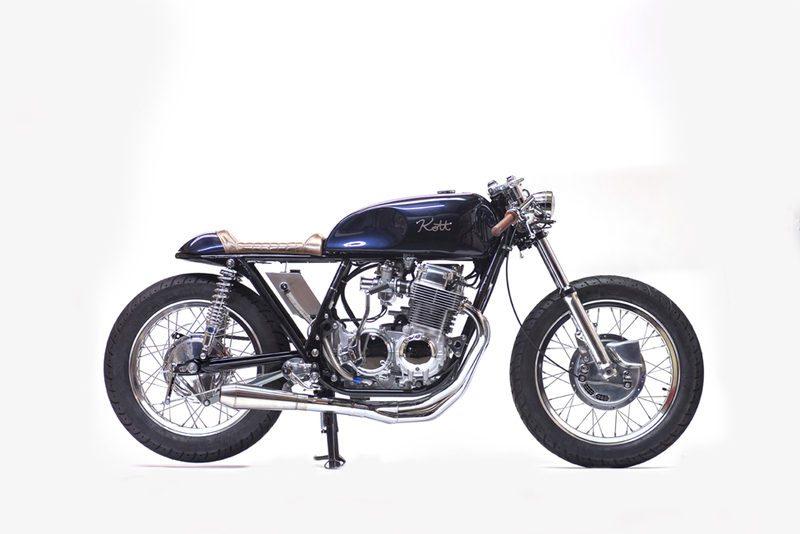 The fuel tank selection allowed for yet another non-stock future option for Cb750 modifications. 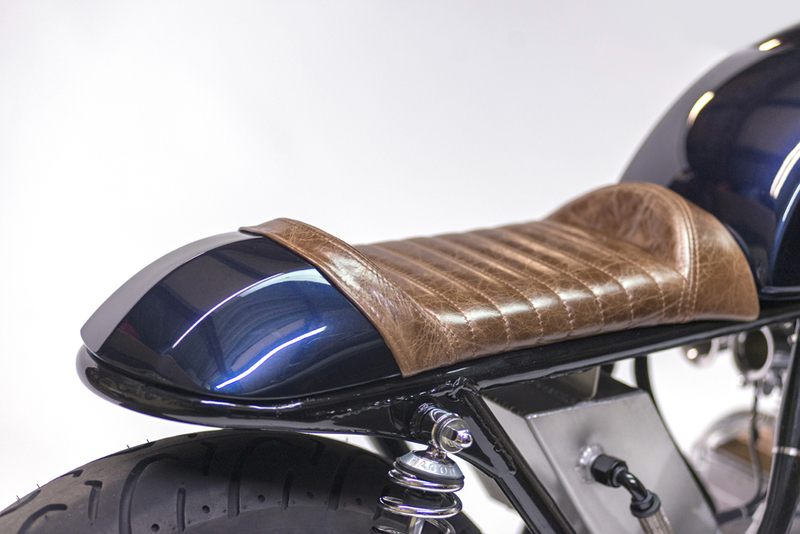 This GS 650 tank and handmade seat cowl offered a new aggressiveness and angularity to the ever versatile CB 750 platform. With a custom stainless exhaust tip coupled with polished stainless rearsets, the finish of this machine was as organic as it was purposeful. Fitted with a speedo, mirror, and functioning indicators this machine allowed us to really explore tasteful and subtle solutions to improved utilitarianism and street legality. 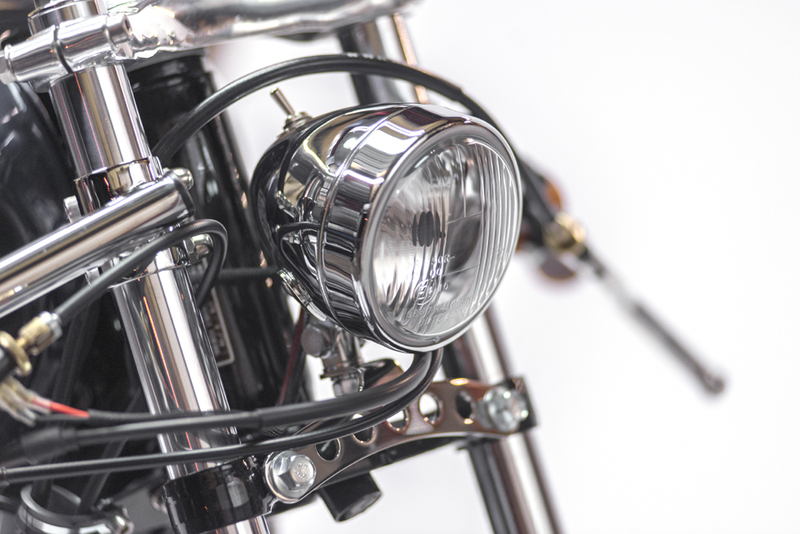 The use of progressive suspension in the rear promoted a handling dynamic that allows a vintage motorcycle to handle with an ease that simply was not available forty years ago!